With a stay at Hôtellerie d'Expérience au Monastère des Augustines, you'll be centrally located in Quebec, steps from Hotel-Dieu de Quebe and Artillery Park. This eco-friendly hotel is 0.3 mi (0.5 km) from Le Capitole and 0.4 mi (0.6 km) from Price Tower. Make yourself at home in one of the 65 air-conditioned guestrooms. Complimentary wireless Internet access is available to keep you connected. Bathrooms have showers and complimentary toiletries. Conveniences include desks, and housekeeping is provided daily. Don't miss out on recreational opportunities including a health club and bicycles to rent. Additional amenities at this hotel include complimentary wireless Internet access, tour/ticket assistance, and a ballroom. Enjoy a meal at the restaurant or snacks in the hotel's coffee shop/café. For your convenience, a complimentary breakfast is served daily. Featured amenities include a computer station, a 24-hour front desk, and luggage storage. This hotel has 10 meeting rooms available for events. Self parking (subject to charges) is available onsite. 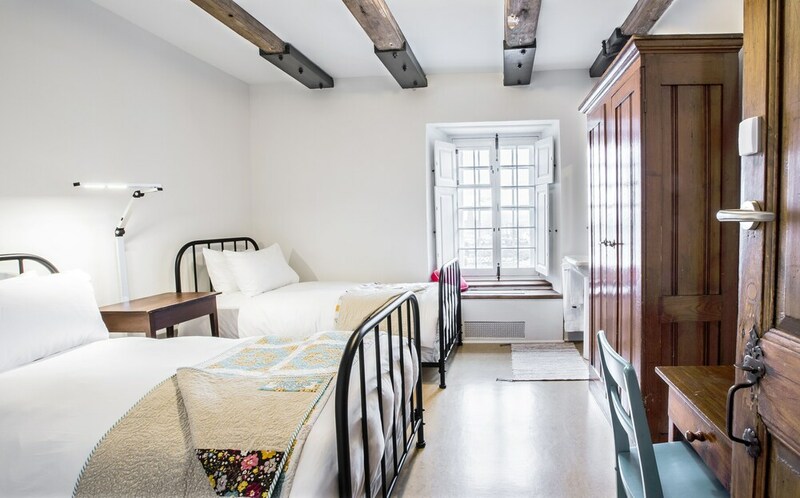 Le Monastère des Augustines’s tranquil setting in the heart of Old Quebec offers a rejuvenating blend of 17th-century heritage and modern spirituality. The onsite wellness center features a range of therapies, including reflexology and posture alignment. The property’s extensive gardens are the perfect place for an evening stroll, and you can stay connected with friends and family back home using free WiFi, which is provided throughout the property. The property's onsite restaurant offers healthy meals to suit all tastes. The menu is vegetarian raw food, fish, poultry, and meat created from local, organic ingredients that are in season. Open daily for breakfast, lunch and dinner. Reservations are advised for the dinner service.